Listening to Chinese songs can be a valuable and entertaining way to learn the Chinese language. Today we’d like to recommend a very famous female singer, Dèng Lì Jūn to you, she was one of the most popular and influential Chinese pop singer. It is often said, “Wherever there are Chinese people, the songs of Deng Lijun can be heard. “Deng’s voice and songs are instantly recognized throughout areas with large Asian populations. Besides China, her songs also received a welcome from huge popularity among east Asian, such as Korean, Japanese, Malaysian and Indonesian listeners. She was known for her folk songs and romantic ballads. Many of her songs became classics not only in her lifetime but remain the same nowadays. “The Moon Represents My Heart” is one of her representatives. Here are the beautiful lyrics. Enjoy the music. 我 的 爱 不 变 As always, my devotion is only for you. 你 去 想 一 想 Think about it. 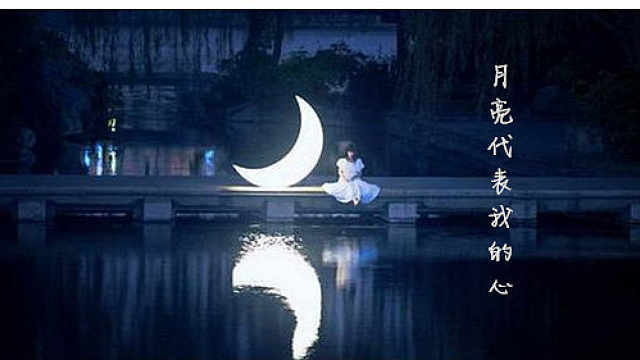 你去看一看 And have a look (at the moon).